This is not intended to be a definitive guide but is a collection of tips accumulated over a long association with the brand. Taken out of context all of the things mentioned here might make the purchase of an LS400 seem too hard, but any car of this age will have a similar list of potential problems, in fact the LS is a very great deal better than most. First off consider a couple of things about the practicality of running what is a prestige car. Insurance on a Lexus LS400 in the UK is group 19 (very high) and even if the value of the car is not set above it's (now very low) market value, insurance will be expensive. I am age 45 have 8 years no claims (never actually had a claim), I was quoted £540 on a 98 LS400 (March 2009) agreed value £2800. These cars are thirsty the best you can hope for on a run, is around 30mpg and to achieve this you will have to drive very carefully, any lead footedness will throw your economy right out of the window. Around town they do about 16mpg. An LPG conversion is worth considering but the initial set up will now probably exceed the value of the car. The LS400 is a complex car and parts are expensive, eBay is a good place to look for parts and parts cars. Servicing via a Lexus dealer is expensive, drive a Lexus into many independent mechanics and their little eyes light up as they can be rather savage with the pen come bill time. Get quotes even for regular servicing. Electrical faults can be a nightmare there are miles of wiring in a Lexus. If you do buy a car via eBay, check the seller’s feedback, always view the car and check proof of ownership. Also check to see if it has been an insurance write off. These cars are written of as having Cat C damage a lot these days this is because LS400 values are low and genuine parts are so expensive. If it has been written off your insurer will want proof that it has been inspected and is now road worthy (jobs for the boys). These cars are made of steel so it will rust but rust treatment was obviously good at the factory and they do not in general rot excessively. Most rust damage will be as a result of poorly repaired accident damage or a stone chip that has just been neglected. Paint is expensive though so keep your eyes peeled. Open the bonnet and take a squint at the engine, if you are buying from a dealer they will often have steam cleaned the car. On a vehicle of this age steam cleaning can be bad news when done under the bonnet, the wiring on the Lexus LS400 and on most modern cars is horribly complex and water can get past electrical seals and cause all sorts of corrosion trouble. Corrosion of that sort takes time to happen and if it was cleaned last week it could be another month or more before problems surface. Good honest dirt is better and you can spot the oil leaks easier if they are present. Look for a timing belt replacement sticker on the LS400 it is usually somewhere near the radiator. If you don't see a label ask the owner when it was last done and you will want to see some record of this. This is essential maintenance but it often gets skipped as it takes several hours to do and is expensive. Even still it's worth costing this job into your purchase as people don't always tell the truth, a broken belt means a big bill or a lot of time to list the remaining parts on eBay to get you money back. Dealer records are the best proof that it has been done, but who knows the engine could have been swapped and then what proof do you have that it’s been done. 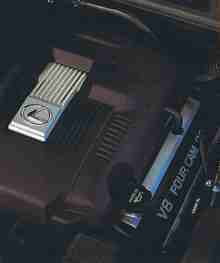 (Update 4 May 2010) had a quote from a Lexus dealer for a belt swap on a 1999 LS400 model last week, they quoted £470 for a belt change the water pump etc if needed would be extra. Check the oil levels and condition of the oil, you would like to see nice clear yellowish oil on the engine dip stick, black means it's time for a change, so if a recent service has apparently been done question it. Pull the automatic gear box dip stick, Automatic gearbox oil should be red in colour, brown means the transmission may have been over heated and at best will need a flush and new filter. Check the coolant water, Toyota/Lexus use a red fluid not the more common green stuff, that said I haven't found a problem using the green at the right strength. On earlier cars take a good look at the power steering pump for oil leaks, this pump sits above the Starter motor which puts the alternator right in the drip line of the pump and any oil leaks will make the steering suspect. Check the tyre wear if the tyre's are low expect to pay upwards of £100 a corner for new ones. Uneven wear can mean that it's been curbed hard or has suspension wear the wishbones on the front suspension are common wear points, causing strange tyre wear and squeaks etc, they are not too hard to change. Check the wheel condition, Alloy wheels can be refurbished for around £60 a corner if not too far gone. I am not sure if air suspension was ever offered as an option in the UK on the LS400, I have never seen a car with it here, but it was certainly offered in the US and Japan so they may have been privately imported and although the ride is even smoother the word is avoid these cars, parts are very expensive and a conversion while possible is pricey. Take a look under the car and check for any oil drips from the car or fresh oil patches on the ground, also when you return from your test drive take a look at where the car was parked for fresh oil drips. You want to see a nice dirty chassis not rusty or black from oil. If there is any obvious rust take a close look it's to be expected (but not ideal) on the exhaust but not on suspension mounting points or components or on the body work. Test all of the locks including glove box, boot and all doors. Check that the keyless entry system works, if it doesn't then the cost of a genuine part will likely mean that you will be doing without this function in the future. There are supposed to be 4 keys, 2 master keys with remote one sub key without remote and a service/valet key. Keys are not cheap so it's nice to see a full set. On the mark IV (1998-) if the master key with three buttons is not present you cannot easily program another master key. A call to Lexus will come up with differing opinions, but they can apparently program one for the car using the chassis number assuming that the ECU on the car is original (cost £150+). If at all possible ask the owner not to start it before you see it, a cold engine can have it's own faults and you need to know about them if they exist. Sellers very often don't consider this important though and warm them up anyway. I loose interest when that happens. The LS400 should start easily after just a couple of turns of the engine and there should be no need to press the accelerator pedal to make it start. The engine should run smoothly, listen for knocking noises etc and they get even quieter when warmed up. Listen for chuffing noises which can mean the water pump is on the way out and if that needs changing you may as well cost in a timing belt as that has to come off to get to the water pump. It pays to have someone reliable watch the exhaust when you start up, there should be no visible smoke. Some steam is normal in cold weather but in warm weather it could mean a cracked head or damaged gasket. Blue smoke is a sure sign of a worn engine, valve stem seals and rings will let oil past after a high mileage or neglect causing the blue smoke. This will mean major engine work and as this is a V8 just the parts will be very probably more then the value of the car. After the engine starts it will idle at around 1500rpm until warmed up when 500 rpm is the norm. The temperature gauge should sit below the mid point on the gauge. Move the steering wheel from lock to lock several times this will increase the pressure in the power steering and may show up leaks. Check that all of the instruments are working and illuminate correctly. Check all of the switch gear there is plenty to keep you busy there as this car has all of the gadgets to be expected on a prestige car. If something doesn't work it may prove costly to replace. Check eBay for replacements but they aren't always there. The steering wheel should drop into place driven by motors and the seat memory should work. As should the cruise control, sun roof etc etc check all of the seat belts for wear and that they wind back correctly. Check the heater control panel on early cars these go blank or dim, a Lexus replacement is uneconomic but you can get a kit to do a DIY replacement for this but it’s still pretty expensive to do and fiddley. Many owners do without. As with any modern car with automatic climate control check that air comes out when the settings are at screen/vent/feet and that the air con blows out cold air. Check that all of the lights work, the window wipers work and the bonnet, boot and fuel filler remote release levers work. Make sure that the power aerial goes up when you turn on the radio take a cd with you and check the changer in the glove box. The dash board should not show any warning lights turn the instrument light control to the max, all instruments should light up brightly, it’s common for them to fade or burn out over time. The car should be smooth and powerful and the steering light and positive. Just how smooth they are can take you by surprise, if this is your first drive of an LS400 it can prevent you taking note of subtle problems, but you need your wits about you. Drive off slowly and listen for knocks and clunking from the suspension, brake firmly and listen for squeaks and clunks from the suspension, do this a few times. Now speed up, the pickup is usually impressive, steering wheel shake when you decelerate down through 40-50 mph can mean bad steering alignment or wheel balance. If it shakes when you brake at speed (60 mph +) suspect worn or warped brake discs. Squeeling brakes are often as a result of cheap parts. Any other noises and vibration can be so many things including engine and gear box mounts and worn suspension. Now that the car is nicely warmed up check for warning lights and that the temperature gauge is in the normal range. When you go back to the dealer or private seller park the car in a slightly awkward place, this will mean you or the owner must move it after a few minutes and you can check the ground for signs of fluid leaks once again. As said before these are complex cars, I have had checks carried out by various motoring organisations and doing that certainly has value, but The Lexus LS400 is a complex and specialised car so doing the research your self will likely be more thorough. All that said having looked at a lot of these cars I can say that it’s now not common to find a completely prefect car, it is nearly always fixable but just be aware of the potential costs and I would never buy one that has been in a smash, unless it was for the parts and cheap. Prices are now very low, it is hard to accept that a car who's replacement value (LS 600h from the current lexus range ) is at the time of writing £89,000. Most of the cars you will see will at the moment (2010) have between 110,000-160,000 miles on the clock, at that sort of mileage the Mk IV goes for around £2,500 less for earlier models but condition dictates. Something with less than 60,000 miles and in the very best condition maybe £4,500 for a mk IV. For a low mile mk III £3500 would be very top end, Mk II's generaly differ little from the Mk I recently saw a Mk I with just 59,000 miles for £1990, prices seem to fluctuate with the rise in fuel price. 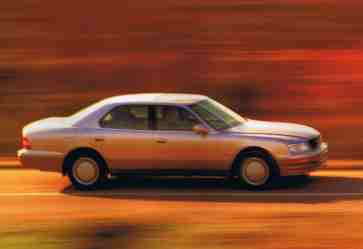 But any car over 10 years old in the UK is undesirable, which is hardly fair for such a well built car as the LS 400. They represent a huge bargain in my eyes, but do your research. There is also a weird (company) ruling in the UK were people that run cars for work and receive a car allowance have to replace them after 4-5 years, I can make no sense of that one, unless I suppose the car is in a poor condition and creates a bad image. But if not how can that rule be good for the environment ? It is hard to yet consider the LS400 as a classic car (surely that must change) and therefore the early cars have less appeal, for my money the best cars were those made after 1994. 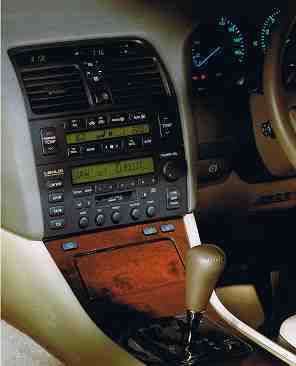 The later cars (post 1997) had a bit more performance and hold the road a little better, they have satnav but it uses a CD based system. Lexus now provide DVD's making very up to date CD maps basically unattainable, they are otherwise the best of the cars though. 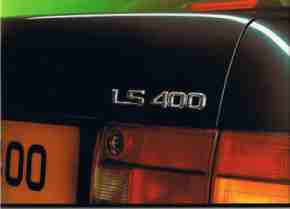 Many owners prefer them to the later LS430 which seemed to loose something in quality and style. The early cars definitely have more problems the brakes were smaller, the leather wears more and various problems still needed to be ironed out, apparently the sheet metal used was thinner too, but I have no direct knowledge of that. I don't know if the LS400 will ever be considered a classic but it has served me very well.